Health care in California has gone through radical changes since the passage of the Patient Protection Affordable Care Act (PPACA) in 2010 and the implementation of Health Care Reform in 2013. Obamacare plans in California are sold through the state health insurance exchange, Covered California. 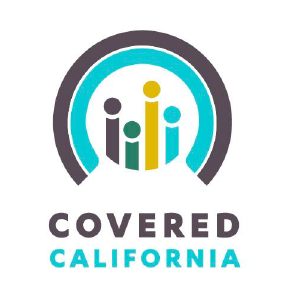 Individuals, families and businesses can enroll on a health care plan through Covered California, through Medi-Cal, through a health insurance broker, or by contacting a health insurance carrier directly. Popular carriers offering health insurance in California include Anthem Blue Cross, Blue Shield of California, Kaiser Permanente, Health Net, Molina and United Healthcare. For rates and benefits, click California Health Insurance Quotes. Open Enrollment 2017 is from November 1, 2016 to January 31, 2017. Outside of that window, you may apply during the Special Enrollment Period as long as you have a qualifying life event. Government agencies that regulate health care in California include the California Department of Insurance, the California Department of Health Care Services, the Department of Managed Health Care (DMHC) and Ombudsman. The DMHC and Ombudsman offer protections and legal assistance for the consumers of health care in California. This is the next wave of health care! People are switching from traditional health insurance to enroll in Health Share Plans, otherwise known as Health Care Share Ministries (HCSM’s). Obamacare requires that most Californians enroll in a health insurance plan or face tax penalties. Many Californians buy their plans through Covered California, but the state-run health insurance exchange isn’t the only option. You can purchase health insurance outside the marketplace. The Affordable Care Act (ACA) was intended to be just that…affordable. However, many are arguing that Obamacare has really just caused rates to rise. For some who are receiving the benefits of expanded Medicaid or large subsidies through the exchanges, health insurance has become attainable and/or has become more affordable. However, for many Americans prices went up. If people didn’t get sick, health care would be cheap, but it would also be unnecessary. As legislators are trying to deal with the issues surrounding health care in America, one of the key issues is how to deal with the incredibly high costs of servicing people with serious health conditions. Is Cost Sharing Reduction on the Chopping Block? If consumers have are under 200% of the Federal Poverty Level (FPL), they qualify for Cost Sharing Reduction (CSR), which means better benefits at the same cost if you enroll on a Silver Plan through Covered California, the California Health Exchange. However, these benefits are being threatened by Republican leaders in Washington DC as they consider the future of health care in America. California has one of the most stable health insurance markets in the nation. The Covered California State Exchange is strong, and all regions in the state have at least three carriers offered. Other states across the country are not fairing so well. Many regions outside of California have only have one carrier offered, and in some areas there is no carrier at all. TRIO is Blue Shield of California’s aim at providing an affordable, high quality managed care product. It is an HMO, so the primary care physician (PCP) serves as the gateway to specialists in an effort to lower costs. When the Affordable Care Act was passed, Blue Shield Covered California hit the pause button on brand building. They focused their attention on Health Care Reform and being ready for the radical changes in the market. In so doing, they road on their reputation as it was previously established and stopped working on building their brand. Did Molina Healthcare Take a Misstep? How Much Does It Cost To Have A Baby in 2017? Have you received a recent letter from Covered California? If so, make sure to open it and read it right away. Covered CA notices are always important to read, but if the recent notice sent out to certain enrollees is ignored, members may lose their financial assistance! Covered California offers Small Business and Group Health Insurance in California to businesses with 1-100 employees at any time throughout the year and seeks to better the program experience by listening to customer concerns. For instance, the concern about a delinquency notification policy was recently addressed. Near the end of February, Covered California sent out notices to members receiving tax credits as reminders that they should have received an important tax document – their IRS Form 1095-A. Health Net has issued off cycle second quarter rate changes that will impact Covered California Small Business renewals and new business with effective dates of May 1, 2017 and June 1, 2017. Early in January, Blue Shield of California announced that they signed a new 3-year agreement with Sutter Health effective January 1, 2017. This is great news as it allows Sutter Health Hospitals and doctors to remain a part of Blue Shield’s network across the state. Approximately 24,000 members with health plans through Covered California are at risk of losing their financial assistance, which is the tax credit provided by the Federal Government in January, if they don’t give Covered California permission to verify their income. Will Donald Trump Cancel My Covered California Plan? The presidential candidates for 2016 are at odds in so many areas. But where do they stand on Obamacare for California? What about other pressing health care issues concerning Californians and the nation? When Covered California announced that there would be a rate hike for 2017 that averaged 13.2%, Californians were understandably upset. But residents don’t have to look far to realize that it could be a whole lot worse. The Drug Price Standards Initiative, Proposition 61, will appear on the ballot this November as an initiated state statute for Californian voters. A “Yes” vote on Prop 61 supports regulating drug prices by requiring state agencies to pay the same prices that the U.S. Department of Veterans Affairs (VA) pays for prescription drugs. While a “No” vote on Prop 61 opposes this measure. If you are a health insurance broker in California, you need to know about this new up and coming health insurance company. Currently, Oscar is only available in Orange County and part of Los Angeles County, but in 2017 they will be expanding to include San Francisco, San Mateo and Santa Clara counties. We expect them to keep expanding their reach in the golden state, especially in big cities and more populated areas. Is Oscar a Broker-Friendly Health Insurance Company? Oscar Health Care CEO, Mario Schlosser, is known for being super smart and very tech-savvy. However, he hasn’t been the biggest advocate of the broker. Are Oscar Health Plans Really Better? Oscar health insurance claims to offer better plans, better health care and a better experience for their members. Basic question… Is this true? Obviously, that may depend on who you are comparing them to. So… Let’s discuss these three bold claims that you can find on the home page of the Oscar website. After Leaving Dallas and New Jersey, What Is the Future of Oscar in California? In a meeting with Oscar California Healthcare Sales Leader, Dennis Negron, on Wednesday, August 24, I asked him why the carrier is pulling out of the Dallas and New Jersey markets. I wanted to know how stable the company was going to be in California. Who is this new startup health care company and what makes them so special? When you land on the Oscar insurance official website home page, there is a humble, yet bold greeting: “Hi, we’re Oscar.” The health plan was founded in 2012 by Mario Schlosser, Kevin Nazemi and Joshua Kushner. Anthem Blue Cross and Blue Shield of California better watch their back. The new guy is coming. And, he’s coming on strong. Easy is not a term most people associate with health care, but Oscar health insurance is revolutionizing the market by simplifying the process of getting service and using a health plan. They offer excellent customer service and innovative, easy-to-understand and easy-to-use plan designs. Oscar Health Care offers two categories of medical plans: Market Plans and Simple Plans. The Simple Plans are designed to be super easy to understand. The Market Plans are designed to be offered in the California Health Exchange, through Covered California. Obamacare plans in California are offered through Covered California. Get insurance benefits through the California Health Exchange in order to qualify for government assistance. 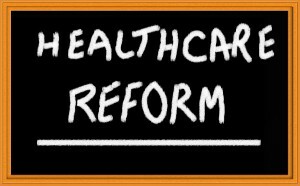 Health Care Reform Plans are offered through most of the major carriers including Anthem Blue Cross, Blue Shield, Kaiser Permanente, Health Net and Molina. If you’re currently enrolled on a private health plan, your rates are likely to increase by a lot. In California, the weighted average increase is 13.2%. Because this is a transitional due to factors affecting rates, everyone is encouraged to weight their options and go shopping. 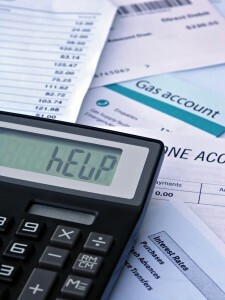 Most consumers will only see a rate increase of no more than 5% if they switch plans. Beginning in August 2016, Covered CA will be sending notices to employers about their employees who have enrolled in Covered CA and are receiving the Advance Premium Tax Credit (APTC). The notice serves to inform employers that their employees may have indicated that their employer has not offered “affordable, minimum value standard coverage” and that they may be subject to the “employer shared responsibility payment” otherwise known as the tax penalty. Is it time to switch to an HMO Plan? Health maintenance organization plans, also known as HMOs, are often the most affordable health insurance plans you can buy. HMOs are managed care plans. You receive health care from a network of providers who agree to offer services to members. HMO insurance plans cover the medical services of a group of doctors, specialists, clinics and hospitals. Are Molina Healthcare Rates and Plans available on Quotit? Yes. Molina Insurance rates are available through Quotit along with the rates and benefits for all carriers that are offered through Covered California, the State Health Benefits Exchange. The health insurance penalty in 2017 will continue to be the same as in 2016 with one difference. The flat dollar amount will be adjusted for inflation and calculated based on the Cost of Living Adjustment (COLA). 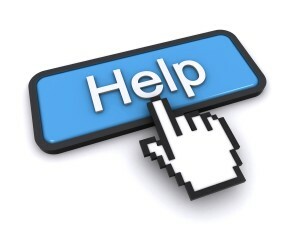 Molina Healthcare offers the best in class broker support team for their agents. They have a broker support phone line. Where other carriers can bounce you around and make you wait for a long time, Molina has been very good at answering phone calls in a timely manner. What Makes Molina Healthcare Unique? Molina Healthcare is a medical insurance company that knows who they are and where they are going. They compete in the government assistance health insurance market. They offer on-exchange medical plans through state and federal exchanges. That’s their niche, and they have no interest in the off-exchange market. The opportunity for Molina in the Obamacare marketplace is just too great. The three biggest markets for Molina are Florida, Texas and California. Molina Healthcare is the fastest growing Fortune 500 company that offers Affordable Care Act (ACA) health insurance coverage. Their mission is to serve underserved individuals by focusing on those needing assistance, government funded programs, and tax credits like the ACA. Health Family Insurance, a leading US Field Marketing Organization (FMO) headquartered in Florida, Texas and California offers other products than straight medical insurance through their 1000+ producers. They offer supplemental health insurance plans for individuals, families and for seniors ages 65 and over. The Blue Shield of California dental plans offer a variety of benefits and services for adults and children enrolled in their Medicare Supplement plan. Unlike other carriers, Blue Shield Dental Insurance California offers unique dental PPO plans. This allows patients to visit dentists within the Blue Shield of California network along with limited coverage from dentists outside their network. In 2015, Blue Shield, California’s largest non-profit health plan, acquired “Care First”. Currently, the medical insurance carrier is working to integrate Care First into the company. Blue Shield of California calls the new plan “Trio”. This will be an ACO plan. ACO stands for Accountable Care Organization. This health benefits package will operate much like an HMO, and it might even be labeled an HMO. Top Blue Shield representatives said they were unsure at this time whether or not it would get the HMO label. However, they seemed certain that this plan would help them compete with California’s top HMO, Kaiser Permanente. Kaiser Permanente’s integrated model requires not only the building of new facilities, but also a steady influx of qualified medical personnel. Toward that goal of acquiring the most qualified staff, Kaiser Permanente has gotten into the business of hiring medical groups. June 2016, Blue Shield of California is mandating that all health insurance brokers selling their plans sign up to receive their commissions by Electronic Funds Transfer (EFT). This will help lower operating costs for this California health plan that is fighting hard to compete with Anthem Blue Cross and Kaiser Permanente. There are two main ways California carriers pay their health agents. Either they pay on a percentage basis or a Per Member Per Month (PMPM) basis. Anthem Blue Cross has gone to paying medical insurance brokers on a PMPM basis for individual sales, and Blue Shield of California is considering following suite. Many Covered California consumers have complained during the first couple years of the Affordable Care Act that they are having trouble getting their doctors to accept their health insurance coverage. Physicians and clinics have made the following statements. 1. Enrollment numbers will likely be similar to 2016. The Covered California Open Enrollment 2016 turned out 200,000 new enrollees and 300,000 people switching from one California health care plan to another. In 2017, we expect these numbers to be about the same. 2. The subsidy market is likely to plateau. Where is the Affordable in Health Care? Should the Government Have Say in How You Eat? You’ve heard of soda taxes and bagel taxes in New York. Even a fat tax was proposed. “Weigh in, buddy. Uh oh, you’re weight’s up, so that means that your taxes are going up as well.” This sounds like a preposterous idea from a George Orwell science fiction book, but it may just be the reality that we will be facing with regard to health care in California in the future. At the CAHU Capital Summit 2016, the California Association of Underwriters (CAHU) explained their views on various California health care bills that are before Congress now in Sacramento. They encouraged agents who sell health insurance in California to lobby on behalf of consumer and broker interests. At the CAHU Summit 2016 on May 18, Mike Belote prepped California health agents before they went to meet with political leaders in the Sacramento State Senate and Assembly. He said, “We are lobbyists and story tellers. We deliver a narrative.” That narrative is one aimed at communicating the interests of brokers who sell health insurance in California. 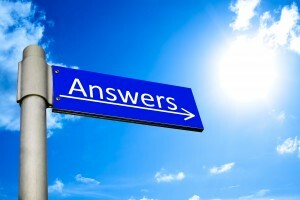 What should commissions be for health insurance agents? Since the implementation of the Affordable Care Act (ACA) commissions for health insurance agents have drastically decreased. This has caused many brokers to rethink whether or not they want to stay in the industry. Mary Watanabe, Deputy Director of the Department of Managed Health Care, spoke to a room full of California health insurance brokers on May 18. At the beginning of her talk, she said, “Remind me to talk about broker commissions if I forget.” Someone from the crowd called out, “Don’t worry. We will.” To which people responded with laughter. The Department of Managed Health Care, which protects 25 million California insured, has a newsletter with helpful information. Sign up for the DMHC’s “Listserv” at www.HealthHelp.ca.gov to receive updates and notifications about public meetings. The Department of Managed Health Care often plays the role of the enforcement arm of legislation related to health care in California. The Department of Managed Health Care (DMHC) was established in 2000 through consumer sponsored legislation. It regulates the health care and medical insurance for 25 million Californians including the majority of those on Obamacare California plans insured through Covered California. Bernie Sanders has been the dark horse of the political primaries this year. He came out of nowhere spouting ideas that for many seemed very radical. He is the first significant presidential candidate that actually claims to be a socialist. However, his ideas like free college and no cost health care for all have had a huge appeal amongst young people in the nation and in California. Where Do Clinton, Trump and Sanders Stand on the Affordable Care Act (ACA)? With his CAHU Presidency coming to an end, Michael Lujan spoke out Wednesday to a group of health insurance agents in California that he has served. Lujan thanked the agents for their support. On Tuesday July 19, 2016, Covered California announced that its subscribers will experience an average rate increase of 13.2% for 2017. This is quite a jump from the last 2 years, when Covered CA members only received an average rate increase of around 4%. How can I get affordable California health insurance for my dependents? Due to Obamacare’s definition of “affordable”, often it’s difficult for employed families in California to achieve true affordability in health care. Elizabeth Abbott, from the Office of the Patient Advocate (OPA), spoke to the CA health insurance agents on Tuesday, May 17 at the CAHU Capitol Summit. She has a history of advocating for California health care consumers. Blue Shield of California has Sutter in their network. Anthem does not. Regarding Stanford, Anthem offers coverage through the hospital but not the medical group. Blue Shield has both. Since the implementation of the Affordable Care Act (ACA), agent commissions for health insurance have been drastically lowered by California health plans. This has threatened the livelihood of California medical insurance agents. 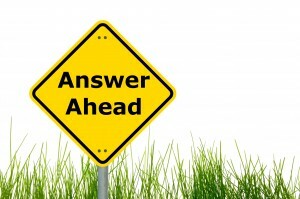 It has also made them question how they can survive in this career in the new world of Health Care Reform. Don Cooper, at the CAHU Capitol Summit 2016, argued that California health plans need to make health agent commissions more reasonable. Also, he argued that brokers may be able to legally charge agent fees. Should California Health Plans Pay Insurance Agents a Percentage or a PMPM Rate? At the CAHU Capitol Summit 2016, Don Cooper, President of Triflex, argued, “The best way to pay agents is PMPM.” PMPM payments refer to commissions paid to health insurance agents “Per Member Per Month”. Should I Consider Getting a Health Net Health Plan? 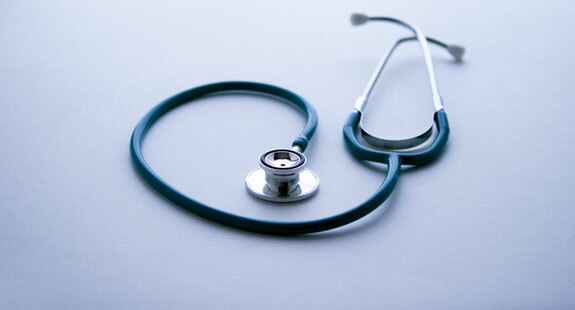 Health Net medical insurance coverage includes both HMO and PPO products. According to the Health Net Health Plan, their HMO plans are more popular in Southern California, while their PPO products are more popular in Northern California. The Centene-Health Net Merger is the first of three major health care mergers in California to occur this year. The Aetna-Humana and Anthem-Cigna mergers are still facing regulatory review. One of the goals of CAHU is to increase its membership and its revenue, which fund its Political Action Committee (PAC). The PAC fights for the interests of California agents by lobbying in Sacramento on capital hill. PAC is the legislative and advocacy arm of CAHU, the California Association of Health Underwriters. Michael Lujan is the president of the California Association of Health Underwriters (CAHU). In an address to CAHU members on Tuesday, May 17, he spoke about the state of CAHU and the advancements they have made. California has 11 major health insurance carriers. But the top health insurance companies in California for the past three to four years have been Anthem Blue Cross, Blue Shield, Oscar and Kaiser Permanente. In 2015 and the previous year, Anthem Blue Cross had the highest number of enrollments in the annual open enrollment program through Covered California. Dave Jones, Commissioner of the California Department of Insurance (DOI), stated the goals of his department. Those objectives are to protect consumers and to maintain or increase competition in the Health Insurance Marketplace. GEO Blue’s motto is “Cover Your World.” They offer global health insurance plans and services for leisure, study, mission, marine and business travel. GeoBlue includes concierge-level service 24/7, 365 days a year. Kaiser Permanente California Maintains Some of the Highest Retention Rates. Find Out Why. Since the passage of the Affordable Care Act (ACA), health insurance agents in California have had to fight for their livelihood. Commissions have dropped. Some top leaders in health care have questioned whether or not insurance brokers would even be needed. SB 908 was written by State Senator, Dr. Ed Hernandez. This bill has some ramifications for those covered by health insurance in California. The California Association of Health Underwriters (CAHU) recommends a light oppose unless the bill is amended. Juli Broyles spoke out Tuesday, May 17, regarding the interests of California health insurance brokers. She spoke about several bills related to health care. She mentioned the need for all agents to have the opportunity to be a Covered California Storefront and she spoke to various issues related to broker compensation. In a talk Tuesday, May 17 at the CAHU Summit 2016 to a room full of brokers, Michael Belote said, “We are on a good will mission” to the legislators in California. He went on to argue for the importance of health insurance agents in California. United Health Care (UHC), through their Select Plus Network, offers one of the largest PPO networks in California. They have an HMO network as well, which is stronger in Southern California. Should the State Require California Carrier Networks Be the Same Providers for IFP and Business Plans? Many California health plans now include marijuana insurance. Doctors can prescribe it as a pharmaceutical prescription like many other Rx drugs. Assemblyman Jim Wood, from the 2nd District, commented on two bills related to marijuana, insurance and the regulation of cannabis. Assemblyman Jim Wood is a Democrat from the 2nd District. He was formerly a dentist for 27 years in Cloverdale, California. This led him to be very interested in public policy regarding access to resources and services of rural communities. He commented that California has been a leader and role model for the country with regard to implementation of the Affordable Care Act (ACA). How Can We Achieve Low Cost Health Insurance in California? California Commissioner, Dave Jones, commented on May 17 in Sacramento, “I’m skeptical. All the literature says that big mergers haven’t helped, but have caused premiums to go up.” Health care mergers mean less competition and less competition often means higher prices and lower quality of care. In California, the Department of Insurance is responsible for licensing new agents and renewing the credentials of agents every year. Presently, the California Department of Insurance license renewal program allows about 136,000 agents to get their licenses renewed annually. CAHU is a support organization for agents and brokers of health insurance in California. The legislative arm of this organization is called PAC, the Political Action Committee. This organization fights for agent commissions and legislation that helps agents and consumers in California. CAHU has 2200 members throughout California. It is a subsidiary of NAHU, the National Association of Health Underwriters. Californians are becoming more and more tech savvy, and as a result they don’t want to mess with billing. Many young people have never written a check, and they don’t intend to. They get bills and they immediately set them up on autopay. However, if not set up correctly autopay can cause problems. Covered California, along with being the exchange for Obamacare California, now has 1.6 million individual and family enrollees in the state. That gives California’s state exchange additional clout to advance their agenda, which is affordable, quality care for all in the state of California. Covered California has mandated that all carriers assign Primary Care Physicians (PCP’s) to all their members. Many expected PPO’s like Blue Shield of California to balk at this. However, top leaders at Blue Shield agree that this move is in everyone’s best interest. On May 3-4, 2016, Blue Shield leadership including two vice presidents met with 25 of California’s top agents to thank them for their sales, share industry insights and to receive input. The meetings consisted of a Tuesday night meet and greet and Wednesday morning brainstorm session. On Wednesday morning, the dialogue went on for over four hours. The Covered California website and the Obamacare California Exchange has taken great measures to insure the security of Personally Identifiable Information (PII). This legally protected information is available to agents, navigators, counselors and health insurance carriers. The Obamacare California Exchange is aware that PII must be kept secure. Covered California is making strides on their website to increase security. Security breaches have been in the news. This has been an issue in California as well as on the national and international stage. Efficiency is what Kaiser Permanente is great at, and it’s paying off financially. Likely, California’s leading HMO will use this surplus to streamline more, give members a better experience and improve health outcomes. However, due to its inability to take on too many new members, Kaiser Permanente is not expected to lower its rates. If Kaiser Permanente has a surplus of income, then why not just give the money back to the members? Why not just lower prices for everyone? Blue Shield of California has their 2% commitment, where they give refunds back to their members if they make over 2%. Why doesn’t Kaiser Permanente just follow suite? The reinsurance stipulation of the Affordable Care Act comes to an end in 2016. This could prove advantageous for Kaiser Permanente, who tends to only be hurt by reinsurance. What will Kaiser Permanente do with Surplus income? Due to the efficiency of the Kaiser model, the end of reinsurance, top ratings in the state and growing popularity, Kaiser Permanente also has to deal with the problem of what to do with surplus income. They have three main options. Californians enrolled in PPO’s are concerned, but do they really have anything to fear? For many die-hard PPO lovers, this sounds like the sky is falling. Oh, no you’re not! I chose a PPO because I didn’t want someone else to pick my Primary Care Physician (PCP). When you apply for a Covered California health insurance plan with the California State Exchange, at the end of the application, you are given the option to register to vote. Of course, you have to be a US citizen and you have to be at least 18 years old. So, this gives you the option to kill two birds with one stone…get health insurance and register to vote all at the same time. Making decisions regarding your Health Plan can be a tricky affair. It’s very common for people to change their minds, even after enrolling in a new plan. Unfortunately, Covered California doesn’t make it very easy to make changes. In fact, if you’re not careful you can wind up losing your desired effective date and experience a lapse in coverage. When do Medi-Cal and Covered California implement the new FPL Chart each year? How Do You Report Your Income To Covered California When It Fluctuates? The federal government offers many health care benefits to American Indians and Alaska Natives. To qualify, you must be a member of one of 573 federally-recognized tribes across the country. California currently has 109 federally-recognized tribes. Chinese Community Health Plan (CCHP) is a distinctive local healthcare provider serving consumers in San Francisco and San Mateo counties with a group of physicians who offer culturally competent and sensitive care at affordable rates. Creating your own Covered California Account is easy and advisable. Now that the dust has settled from the open enrollment under the Affordable Care Act, we will take some time to highlight the carriers available when you enroll on a Covered Ca plan. This week we will focus on L.A. Care Health Plan. If you have health insurance now but your insurance company notified you that your health plan would be cancelled as of January 1, 2014, that notice is still valid according to a recent vote by Covered California to reject President Obama’s cancellation fix. The Affordable Care Act insures “affordable” health insurance for employees, but not necessarily for the employees’ spouses and children. This doughnut hole in Obamacare is commonly referred to as “The Dependent Gap”.